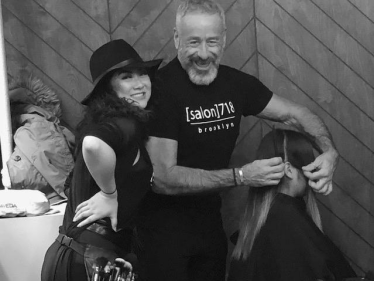 Did you know that [salon]718 offers bookings off-site? You may have thought of these services for Bridal & other special events, but what about treating your staff to a sa-lon experience at their work? Our team recently treated employees at a local office to haircutting, hairstyling and makeup services. The [off]site team comes equipped with all the tools & products for a true salon experience at your location. Our best hair stylists in New York can cut & style hair, even doing up-dos for the perfect party look and our makeup artists will add the final polish. What a nice way to reward your team or add that luxurious touch to a corporate event or holiday party! This will not only help your team look better, but they will feel better and more confident. It’s a win-win situation. Planning a photo or video shoot? We have a qualified team of professionals with experience working on-set. For information and pricing please contact Alison Corbett at acorbett@salon718.com. Blog | December 14, 2017 .